Photograph a Day number three-hundred fifty-three. These flamingos are used to raise money for Brandon’s high school band. You might ask yourself how in the world can plastic flamingos raise money. 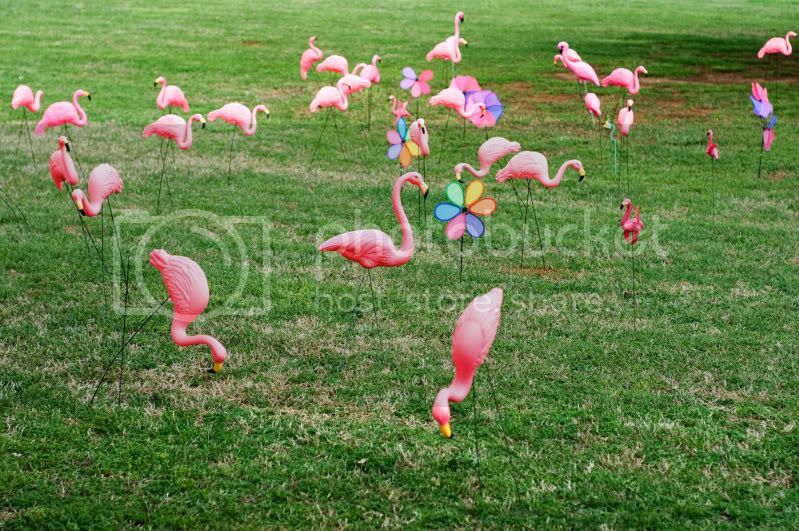 Here is how it works; you pay the band twenty-five or fifty dollars and they will place all the flamingos in the front yard of any one you wish and they stay there for two days. That person can pay twenty dollar to have them moved before the two days are up and have them placed in another persons front yard that they choose. I think it’s a great way to earn money for the band and have a great time doing it.